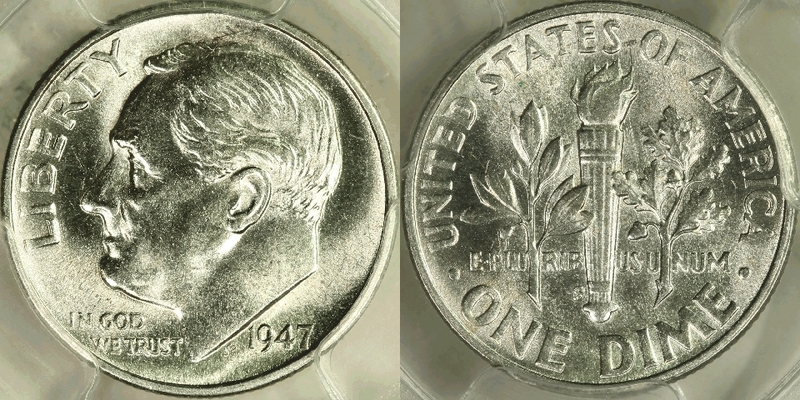 This page contains all dimes other than Bust and Seated dimes. 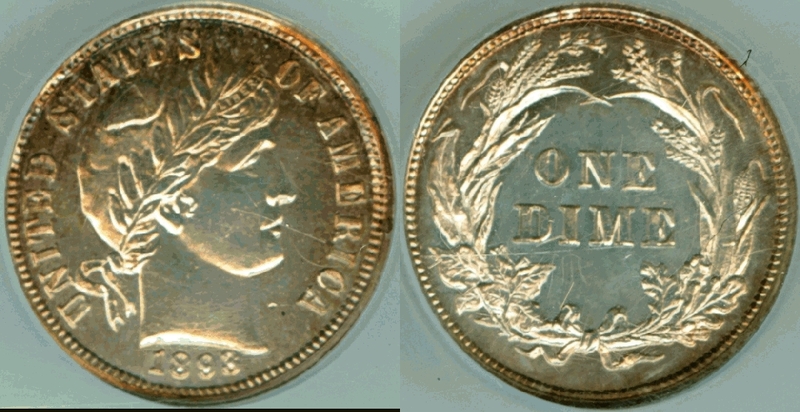 It includes a rare proof 1893/2 dime, and some Roosevelt dime varieties for sale, as well as some decent non-variety Roosevelt dimes. 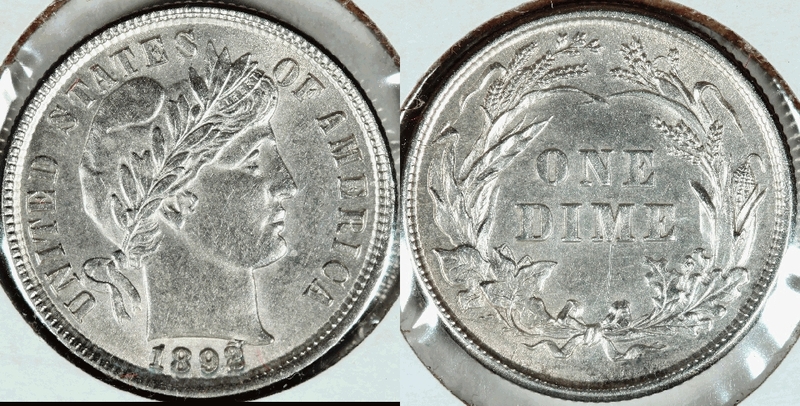 1892 AU-50, cool die crack on "2"
The 1893/2 has both a business strike version and a proof version, and the overdate is clearly different. The business strike overdate has a horizontal line beneath the 2, while the proof overdate has a diagonal line beneath the 2. Was $12,000. With QA check. 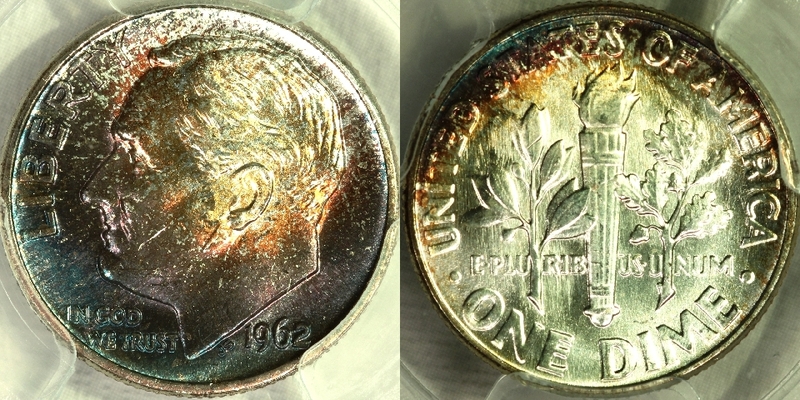 Gorgeous obverse on this coin! Was $275. 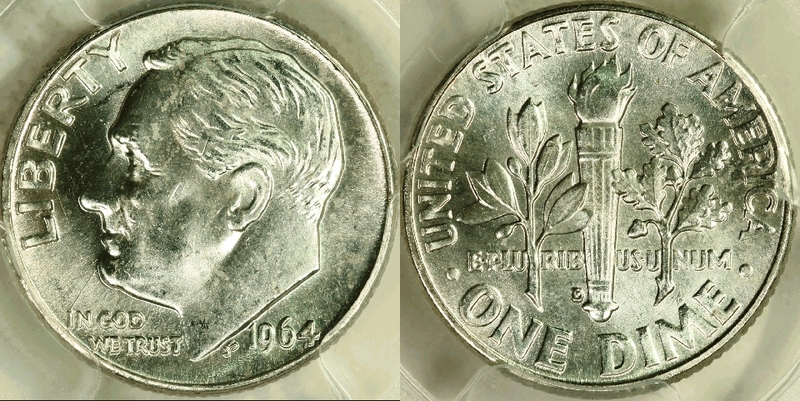 Coin came from Onlyroosies on PCGS message board. He had purchased it from Rainbowroosies. 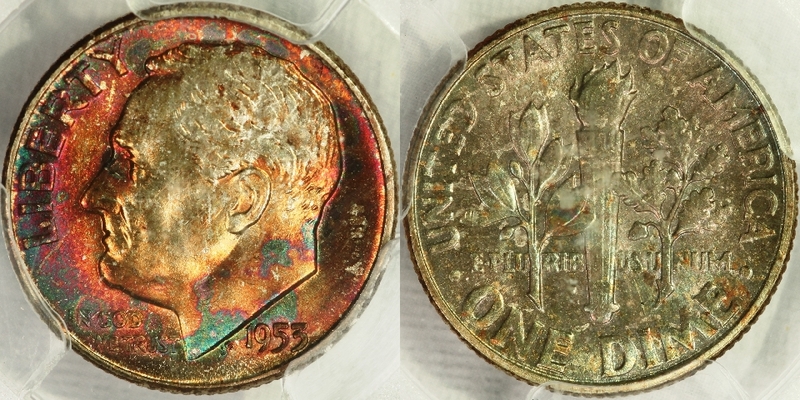 So if you want a very nicely toned Roosevelt dime that was previously owned by two major collectors of Roosevelt dimes, this might be the coin for you! Was $300. 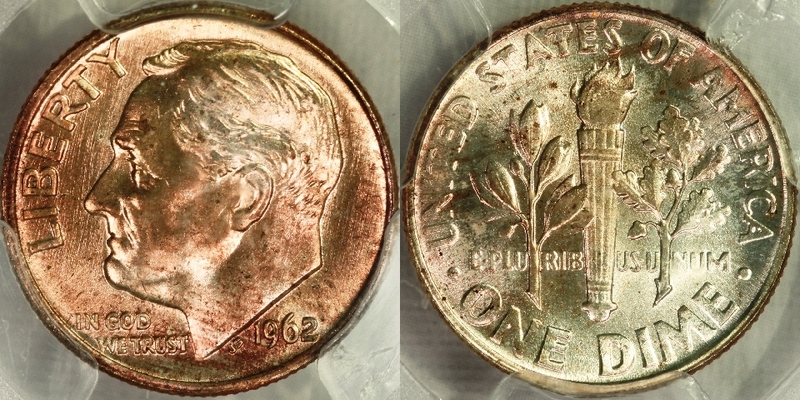 A 1962 NGC MS-67* FT recently sold for $1,998. 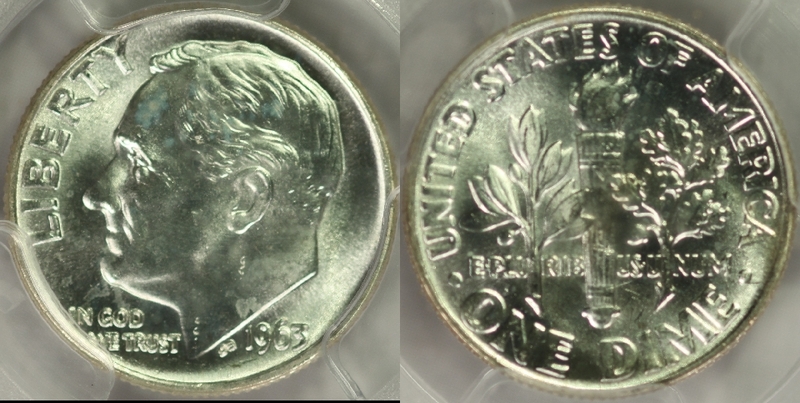 There is only one higher graded 1962 at PCGS. Was $1,650.